tactful (adjective) – having or showing skill and sensitivity in dealing with others or with difficult issues. dickhead (noun, vulgar slang) – a stupid, irritating, or ridiculous man. For two hours I aggressively introduced myself to strangers that made eye contact with me. 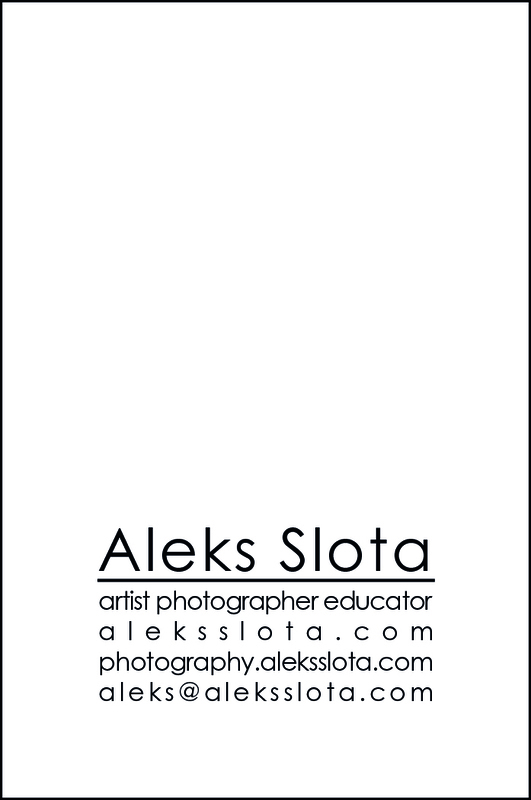 Approaching them with hand outstretched I said “Aleks Slota, artist, photographer, educator”, shook their hand, and handed them a business card. I didn’t stay around for a conversation, immediately leaving to find the next introduction opportunity. I distributed 100 cards.